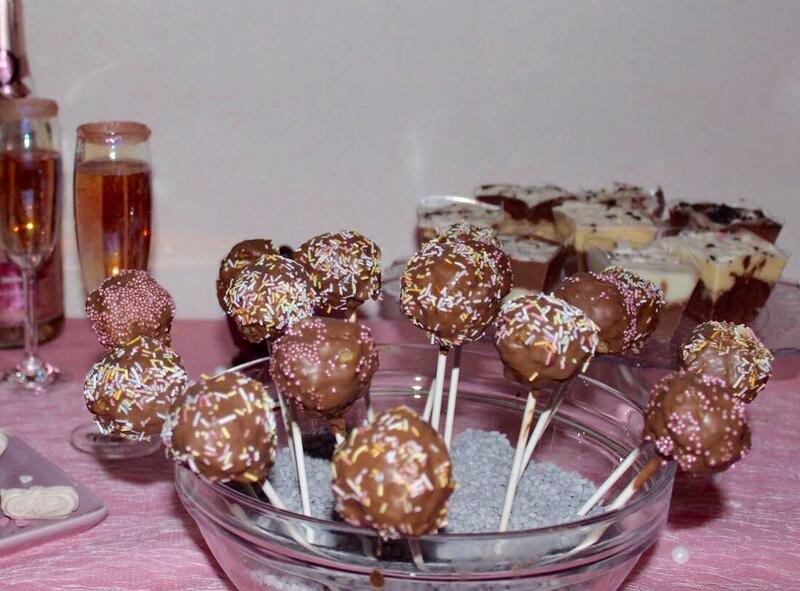 I wanted to try making Cake Pops for so long but was afraid it would be a mess… I won’t lie to you, it kind of did haha but at the end, I was very proud of myself! 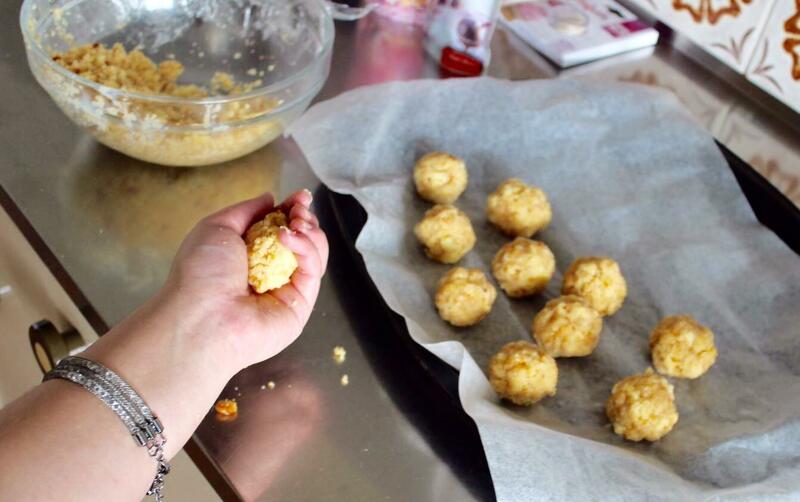 I’m sharing with you how I make Cake Pops but there are different ways of making it. If you make it differently or have any tips, feel free to comment below. You need to have a simple cake already prepared. It can be a chocolate, banana, orange, strawberry – cake, whatever. For my part, I made a lemon cake the night before. I cut it in 4 pieces and put it on the fridge for the entire night. You usually don’t need the entire cake for your Cake Pops. I only used a quarter. 1st Step. 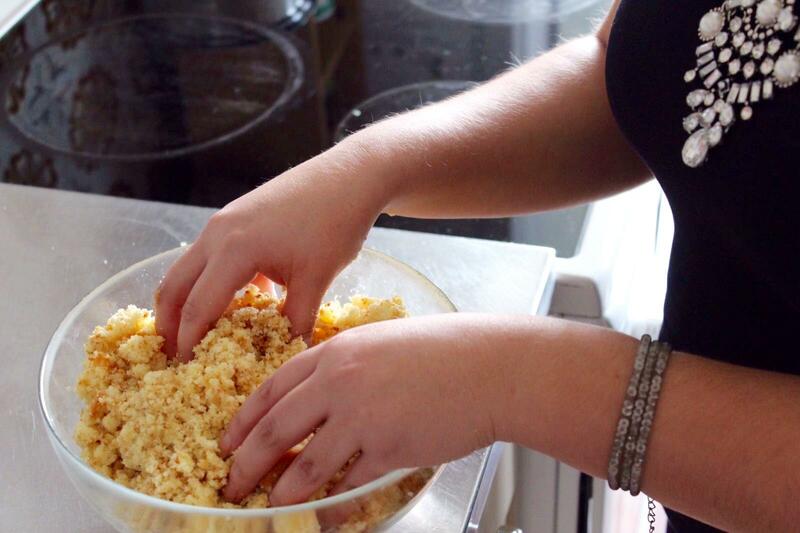 Crumble the piece of cake with clean hands to the max you can. 2nd Step. Add 2 or 3 table spoons of creamy vanilla frosting depending on the amount and moisture of your cake. The frosting will help having solid cake balls. 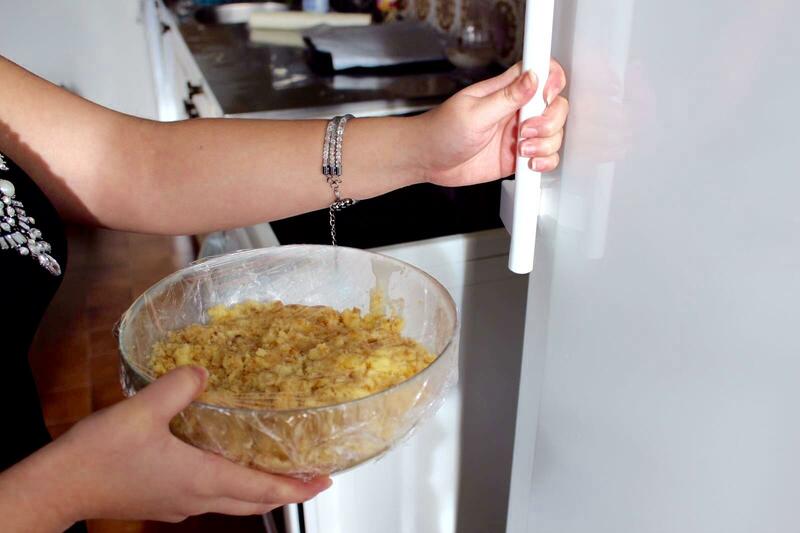 Mix it again with the spoon until it binds together and put it a few minutes in the fridge. 3rd Step. 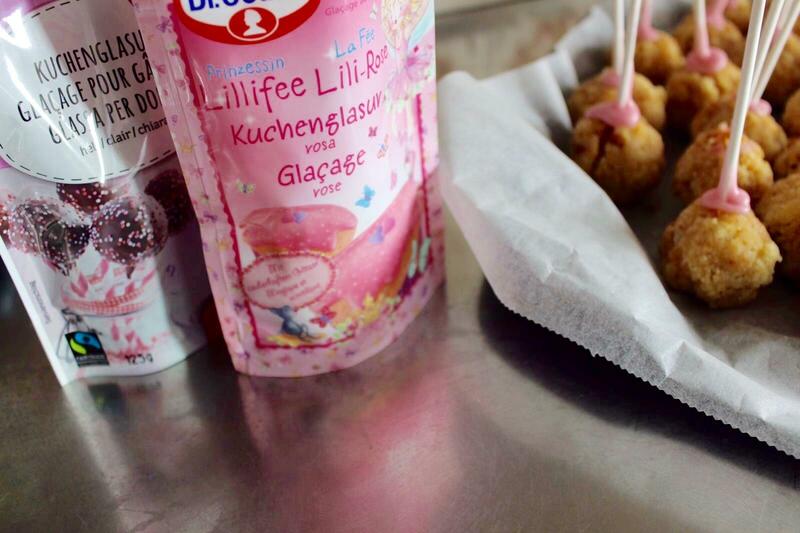 You can now start making little cake balls. Tips: keep your hands lightly moistened with water; this really helps getting it smoothy. 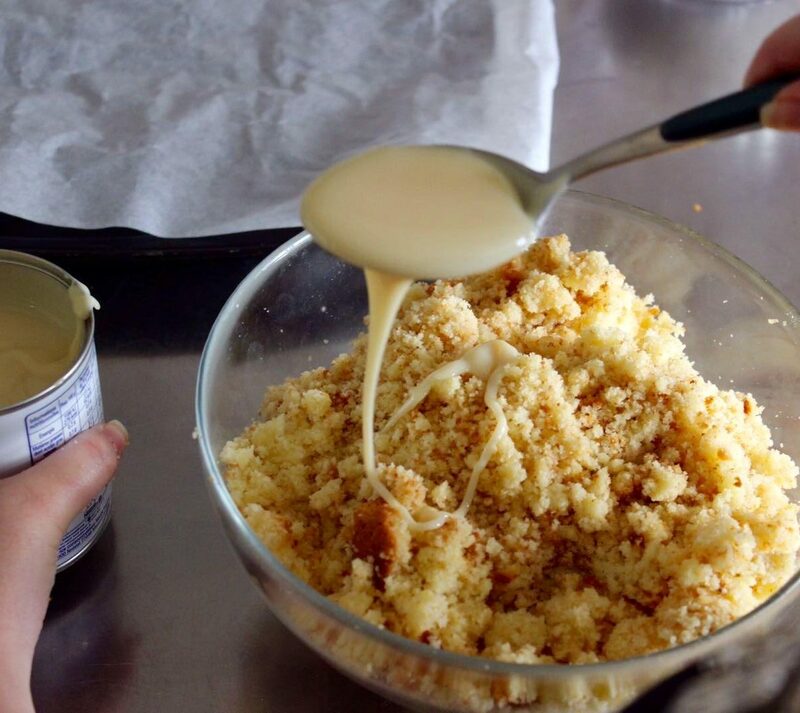 Use a portioning spoon like the ones for ice cream or syrup to get enough mixture for perfect rounded balls. It also make sure they have all the same size. Be careful not to make them too big otherwise it won’t hold on the stick. Put the cake balls on baking paper on a cooking tray and then put it in the fridge for at least 1hour. 4th Step. 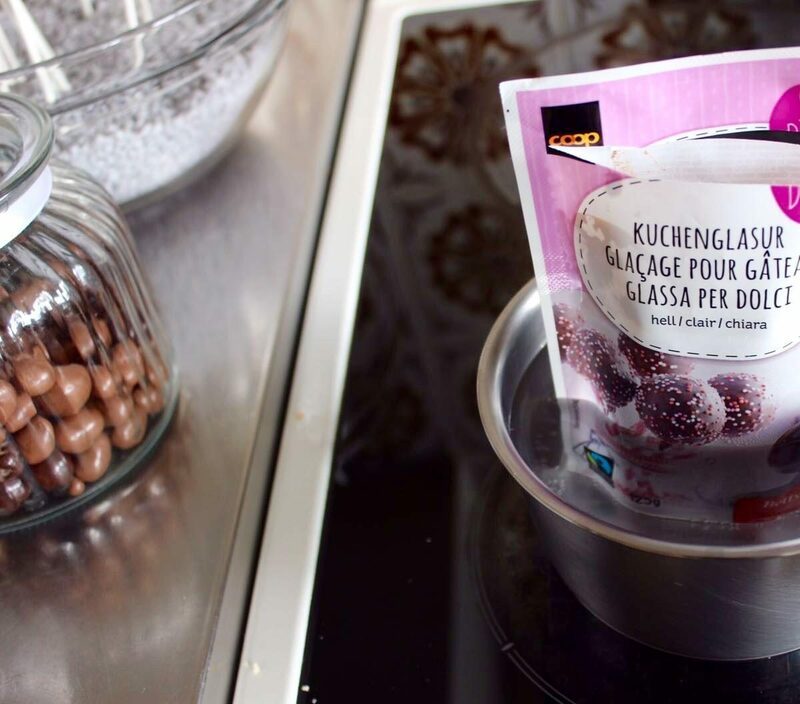 Now that your cake balls are ready and out of the fridge, start melting the Icing for cakes as per package instructions. (You can also use candy melts). 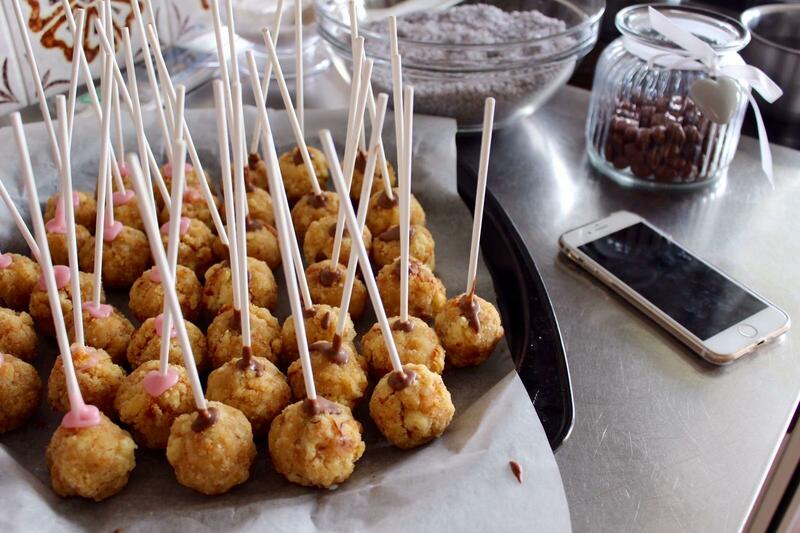 Once it’s enough melted, dip the Cake Pops’ sticks into it and push it into the middle of the cake ball. When you’ve done the last cake ball you can take the first one again and dip it straight down into the melted icing. Hold it sideways over the bowl and rotate it slowly as it drips. Add edible decorations while you rotate it. When it is done dripping, turn it upside down, let it dry for few seconds and then clean off the excess chocolate on the stick. Finally, stick it in a cake pops’ support or a simply container filled of stones or other. Put it on the fridge until it’s time to set up the table and welcome the guests. Et voilà, ready to eat! I hope I gave you enough tips to make perfect Cake Pops! I remind you to cut the outer edges of the cake. I didn’t do that so I had lumps in the balls and this prevented them to be well-rounded and solid! One last tip: If you didn’t use the entire icing or candy melts, pour it over a plastic wrap and let it cool for 20 minutes. Remove then the piece of solid chocolate and break it into large pieces for storage. Let me know if you tried it for the first time !! For the experienced ones, I’m also happy to hear how YOU make it and what are your tips in the comments below.